This study is not for marketing purposes; names and addresses of congregations are not collected or published. 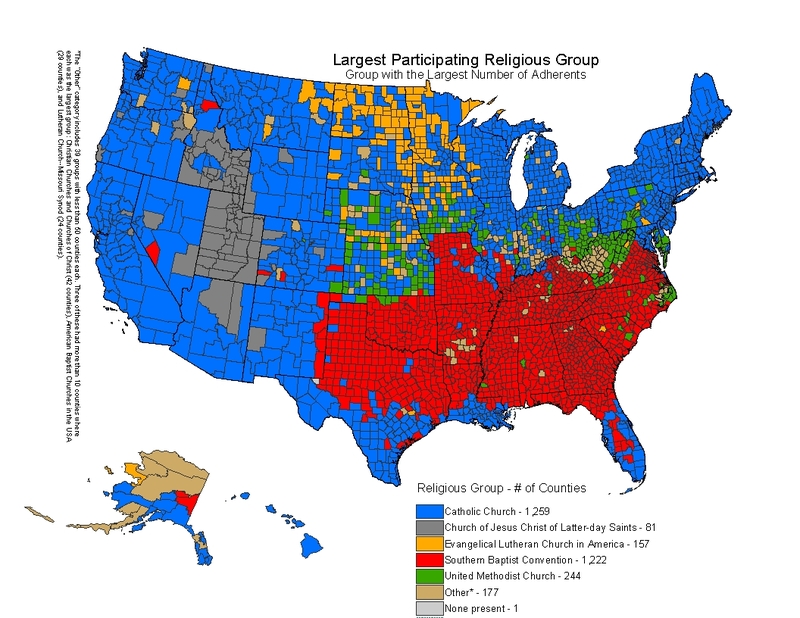 The study works with each participating group to ensure the group's accurate representation. The maps below are all created from data based on the Religious Congregations and Membership Study: 2000. 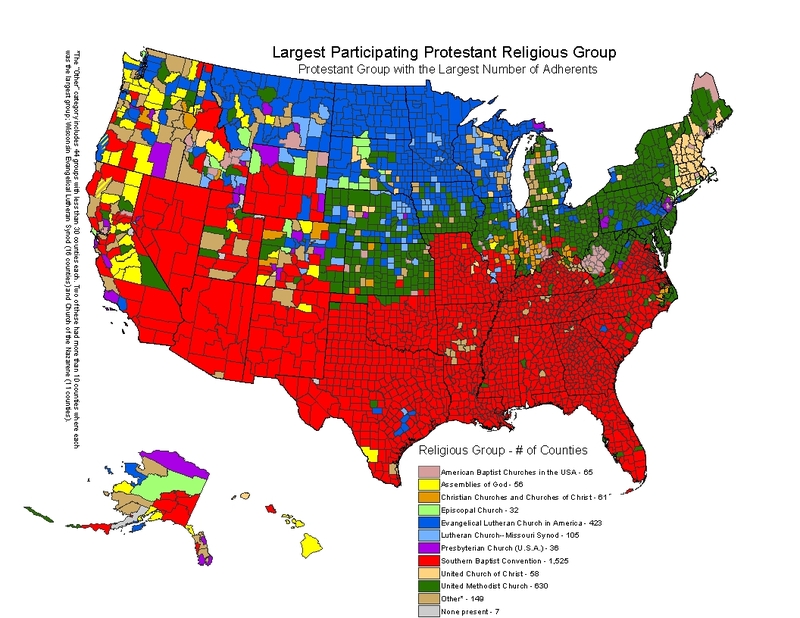 The maps that are specific to a denomination or faith group represent those groups that participated in U.S. 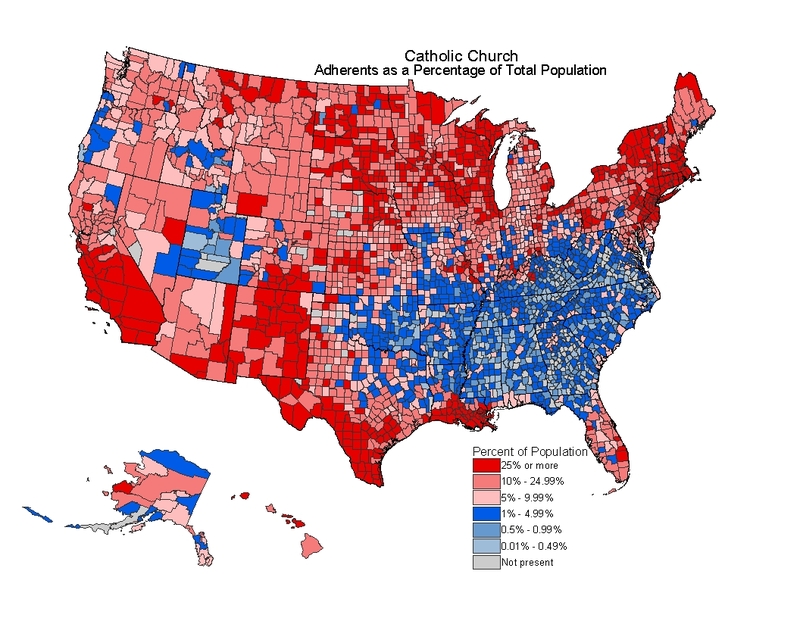 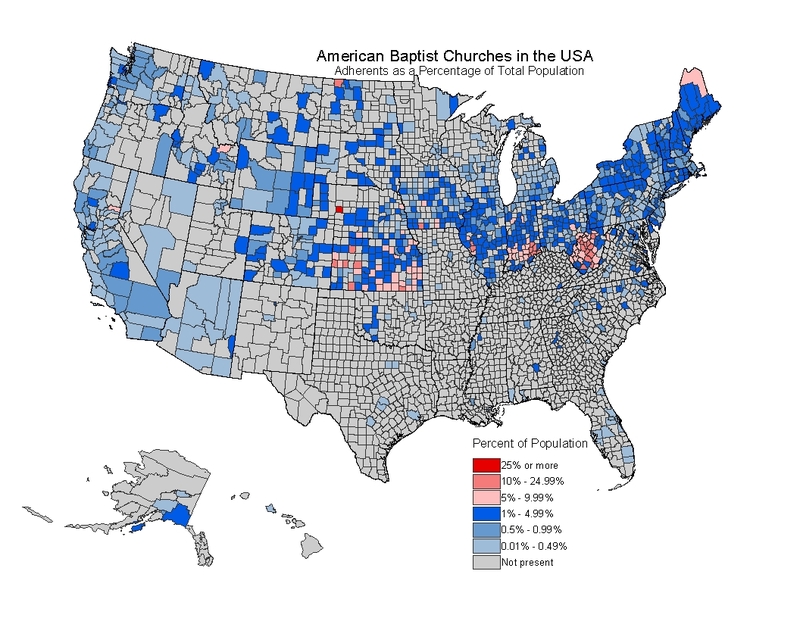 Religion Census 2000 who have at least on 1,000,000 adherents or have congregations in at least 50% of US counties. If you would like a map for another group that participated in U.S. 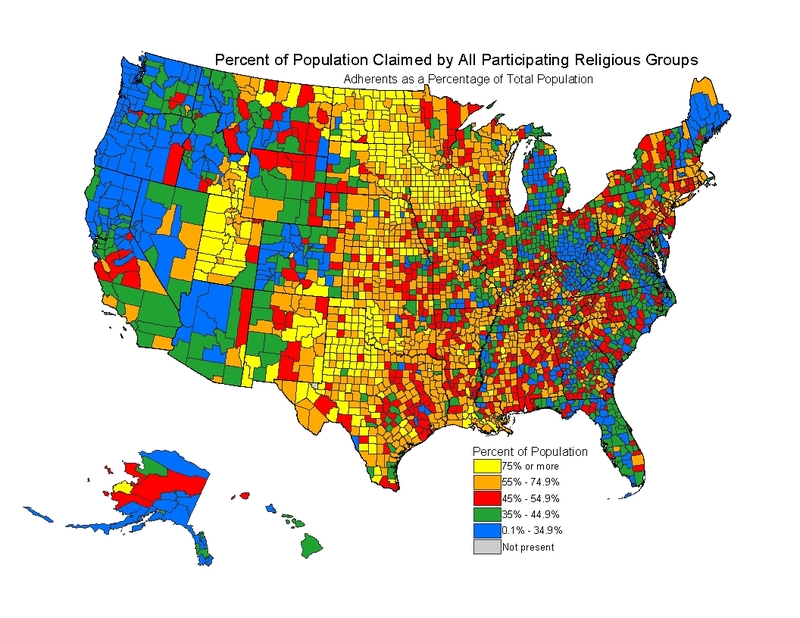 Religion Census 2000 but is not listed below, you may request the map here. These maps are copyright material of ASARB. They may be used in presentations or papers for educational purposes, but they may not be sold or used in publications or products that are for sale. In such cases, permission to use these maps may be obtained from the publisher--the Glenmary Research Center.